Prepare to Travel as a Vegan! 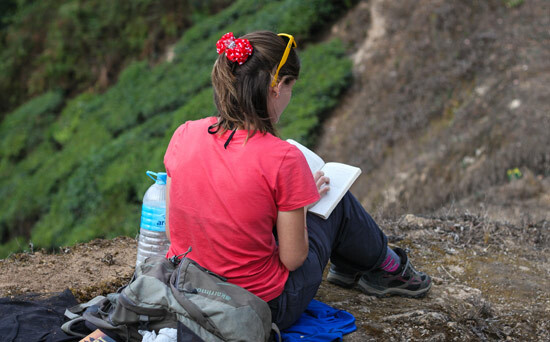 It’s not hard to travel as a vegan, but doing a bit of research will definitely help! HappyCow is full of information on vegan, vegetarian restaurants and health food shops around the world. It was very useful for me before I went travelling, when I was researching vegan and vegetarian restaurants in the first few countries that we were visiting. I printed off many restaurant names when we visited the Netherlands, Poland, Russia, China and Mongolia. I don’t think I would of found them otherwise! Most vegan restaurants on the website will have an address, contact number and a map to find them. I also found hotel staff were always willing to help me locate them on a map, so just ask for help! Do you know what the typical cuisine is in the destination that you’re travelling to? What if there’s limited choices and you’ve got a lot of planning to do before you go? It’s good to have an idea on what’s available to the travelling vegan and what key ingredients you need to avoid. You don’t what to arrive not knowing anything. Taking a few emergency vegan snacks with you is a good idea, Unfortunately there may be times when it’s hard to find something to eat! What if you arrive at night hungry and everything’s closed? Or you cant communicate with a waiter in a local restaurant, as no one speaks the same language and you’re too tired to work out the language? It’s also comforting to be able to eat something that you know and like from home when you’re experiencing culture shock. My favourite vegan travel snacks are: peanut butter, marmite and chocolate biccies! 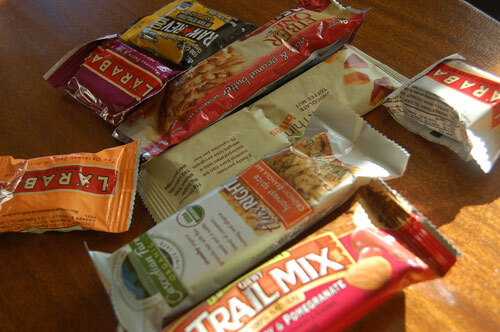 Cereal bars and dried fruit and nuts are also great! Learn the lingo! 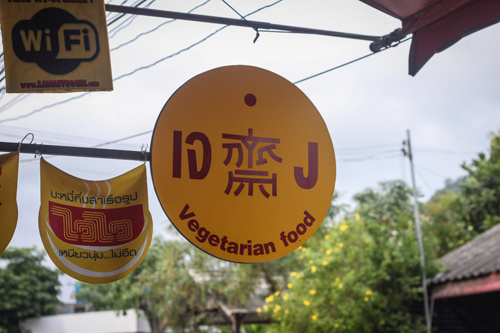 Knowing the names of vegan friendly dishes (and what to avoid) in the local language! Meal times will be so much easier if you have written down the names of local vegan dishes and things that vegans can’t eat! It can be irritating for both parties when the waiter can’t understand what you are saying. If you can communicate with the staff in their language and ask for something in particular, chances are you might get a better vegan meal out of it, rather than just plain old rice! Take the vegan passport with you! If you have not heard of the vegan passport, you should definitely check it out! In a few short phrases (in loads of different languages) it describes what a vegan is and what a vegan can and cannot eat. The travelling vegan’s secret weapon! Good luck preparing to travel as a vegan! I’d love to know if you have any other tips for travelling vegans out there! 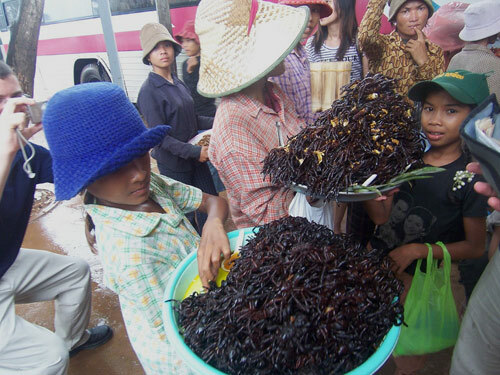 Photos: Vegan snacks by snowpea&bokchoi, Cambodian Insects by gregwalters.